Learn the tricks of the trade in a personalised 2-hour Makeup Workshop. Spend 2 hours with Jay Jay in a makeup workshop and walk away with all the expert tips and tricks from her 25 year career in the fashion, beauty, wedding and TV Industry. If you’ve always wanted to learn to apply a perfect natural day look in just 15 minutes, here’s your chance to learn from a leading makeup industry professional. Makeup Workshops are held in the CBD Makeup Studio where Jay Jay applies your chosen makeup look. During the Makeup Workshop, Jay Jay will clearly explain the application techniques so that you can then recreate the looks of your choice under her supervision. This private Makeup Workshop with Jay Jay can also be taken with a friend or daughter. Makeup Workshops are conveniently located at the Makeup School Sydney in the heart of Sydney’s CBD. 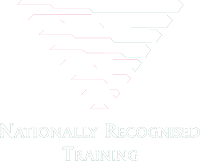 The organisation is RTO certified by the Australian Skills Quality Authority. Over 400 students from all over Austral-Asia have trained here to become a Nationally Accredited Makeup Artist. Looking for that perfect birthday present or a special Christmas surprise? Purchase a one-one private Makeup Workshop with Jay Jay! A 1-on-1 Makeup Workshop gift certificate is perfect for the bride-to be, or as a unique, original wedding present. Learn what to have in your makeup kit, all the trendy and healthy makeup products in the market and, of course, what best suits you!